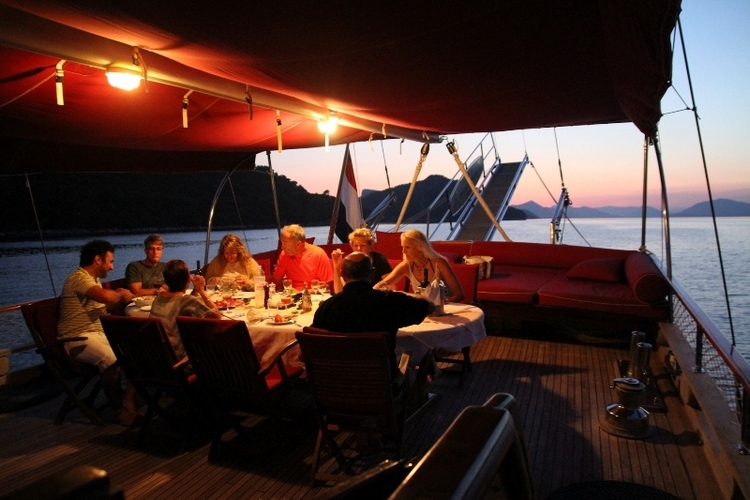 Nostra Vita yacht is at the moment the best gulet in Croatian top class yacht offer in the Adriatic. 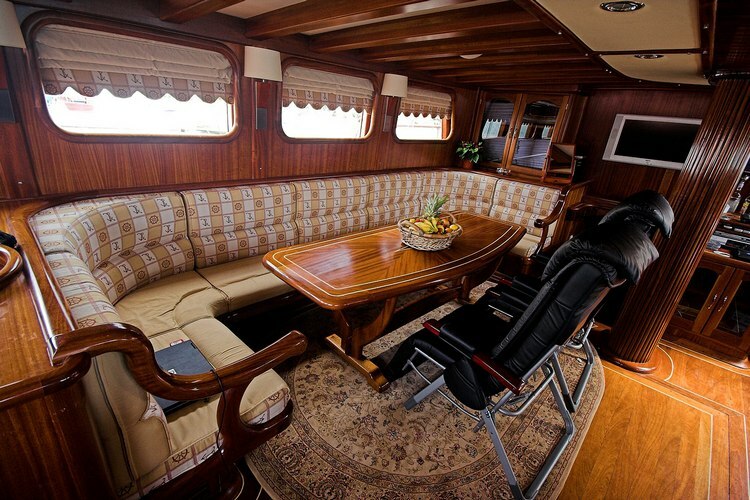 The stern has a mahagony table with 12 seating places. 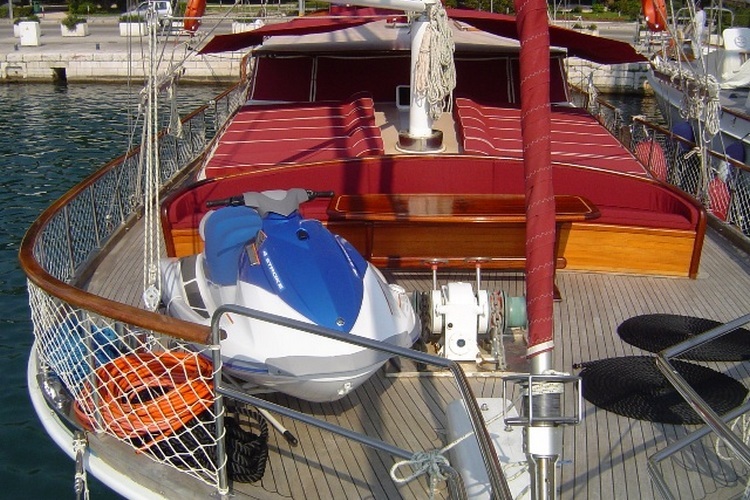 The deck is fitted with 12 deckchairs, used for relaxation in the sun. 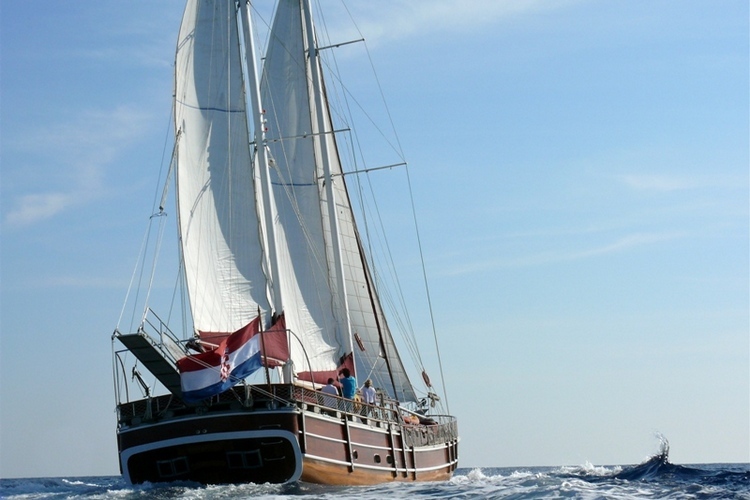 During Your trip we use wind energy while at the same time the raised sailis make shade on one side of the boat. 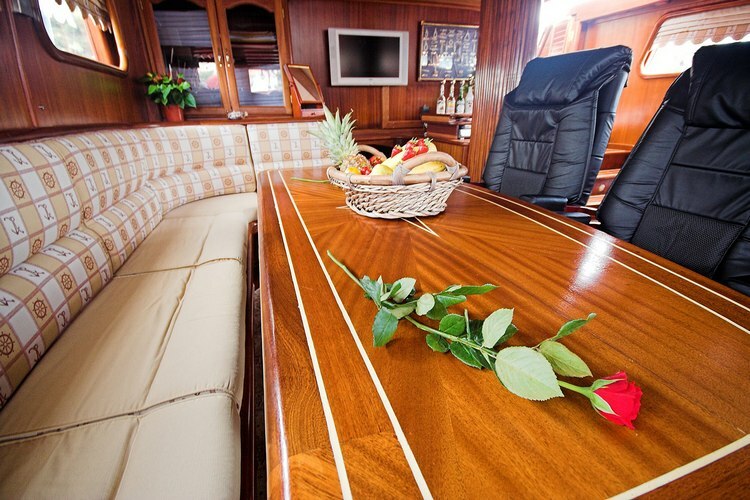 Cocktail bar area is just one of the many leisure possibilities during Your voyage. 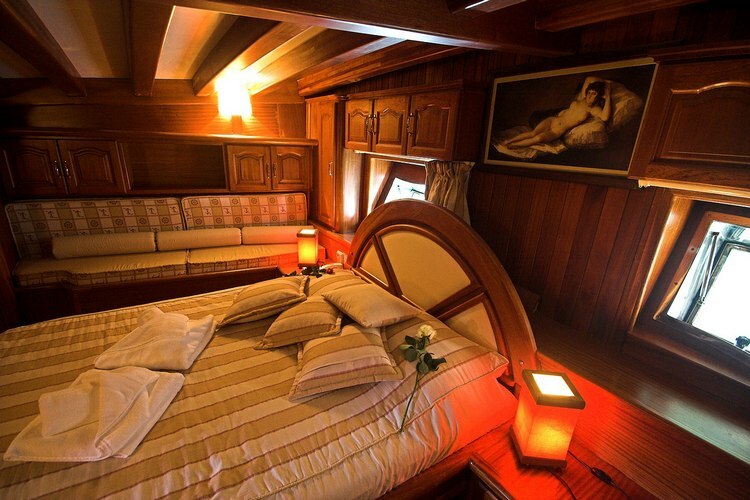 Cabins are fully equipped. 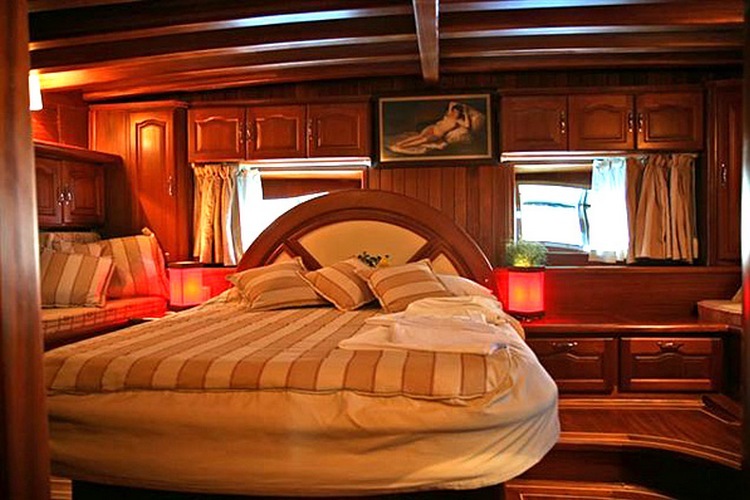 Two out of total 5 cabins are super master cabins with king size beds, two cabins have queen size beds and one cabin has a twin bed. 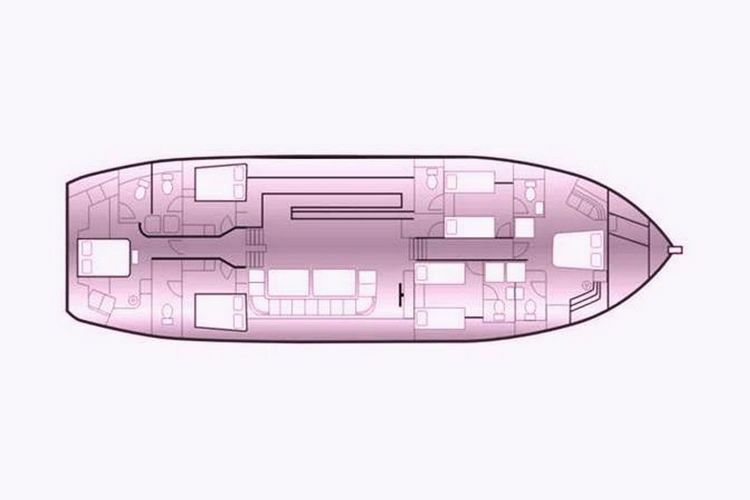 Yacht can host 10 persons. 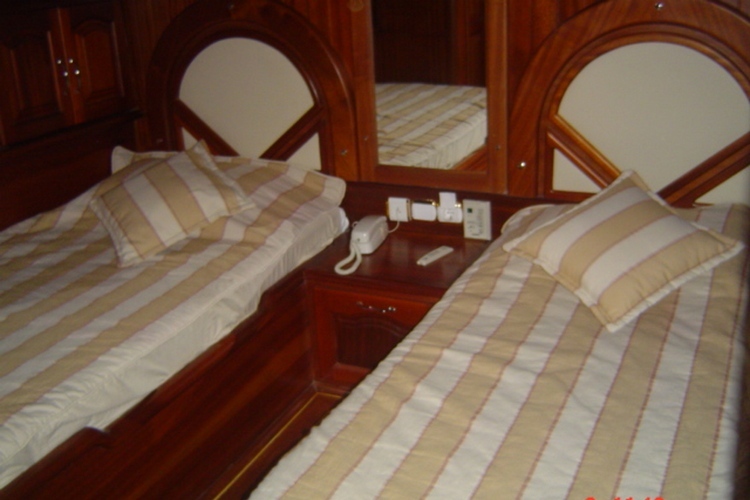 Two cabins also have additional beds. 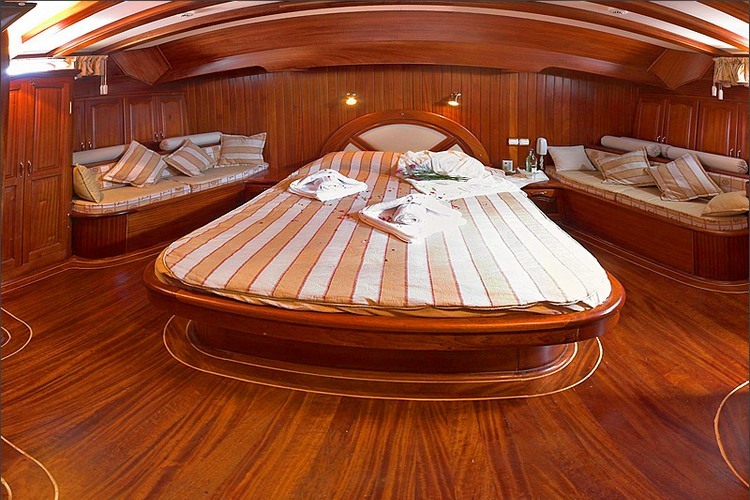 Beds are rather large (210×140)so it makes them convenient for tall persons also. 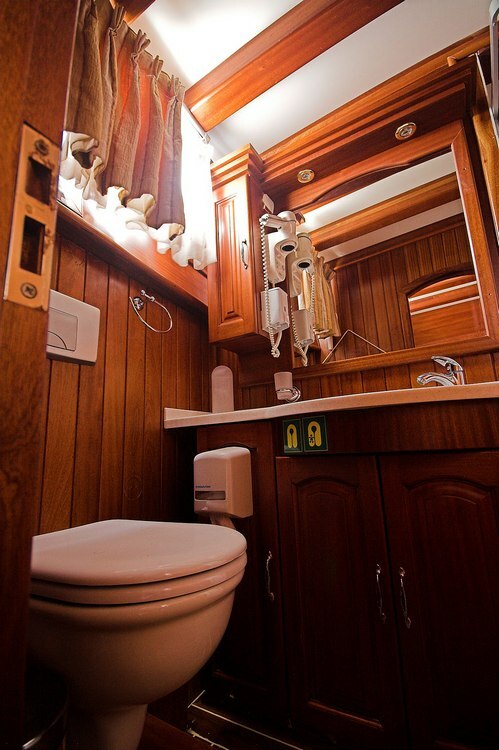 Of course, each cabin has closets, storage space, toilet with bathroom and shower cabin (warm water available). 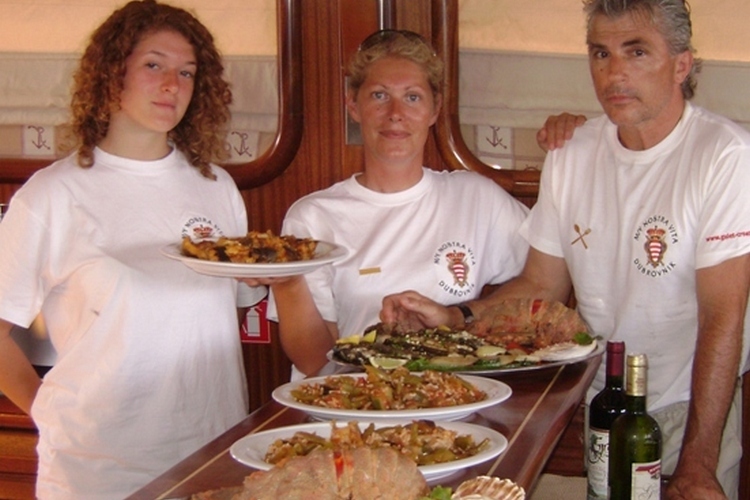 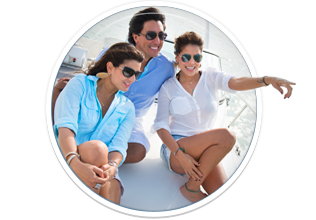 Nostra Vita has 4 professional crew members (Captain, Chef, Mate and Steward/Stewardess), who will provide magnificent cruising and unforgettable feeling of the true Mediterranean. 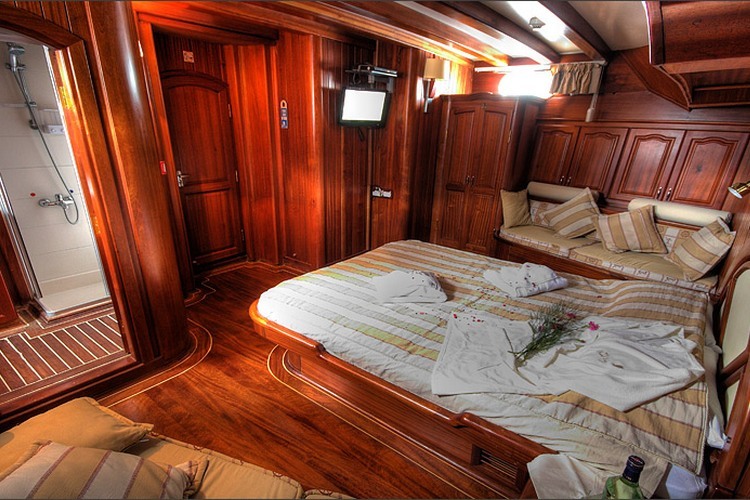 The vacation on M/Y NOSTRA VITA begins with a welcome drink upon boarding. 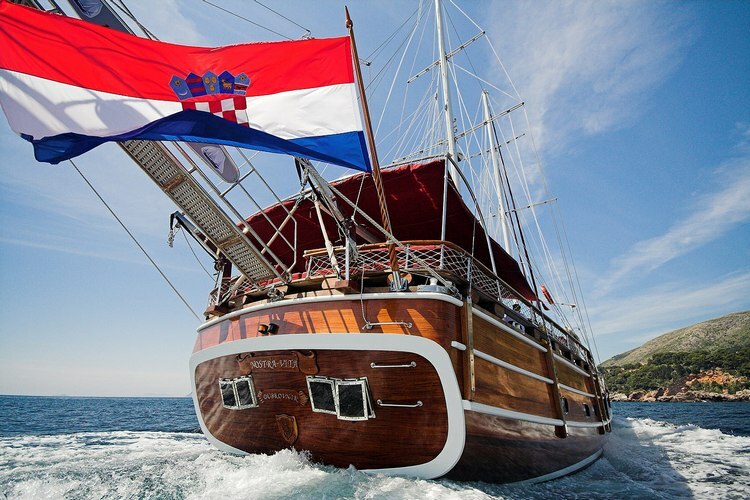 Guests are shown to their respective cabins and orientated with the NOSTRA VITA facilities and safety procedures before setting sail to discover the stunning Dalmatian coast. 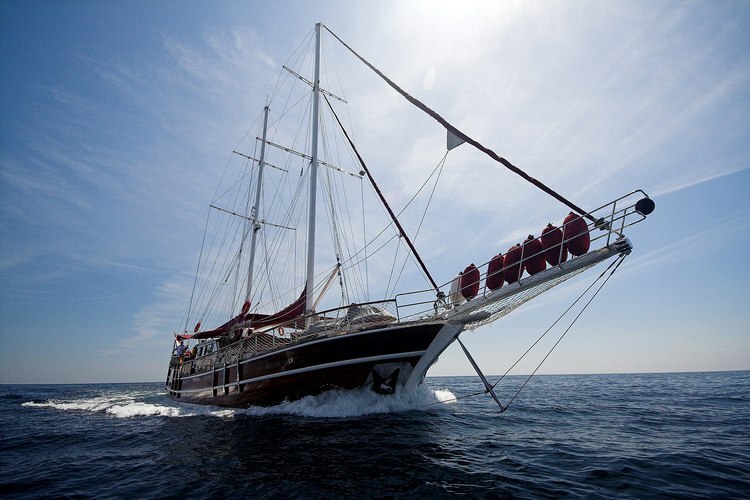 – Built in 2006 32, 9 m in length (over all) — 7.40 m beam. 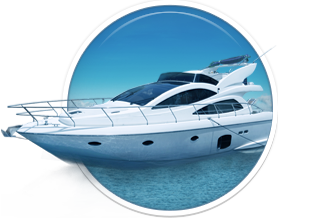 – Port/Harbour taxes and use of all equipment on the yacht (we charge extra the use of Jet Ski 250 EUR per day + fuel or 1 500 EUR per week). 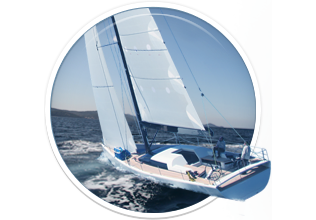 – more than 4-5 hours of air conditioning per day. 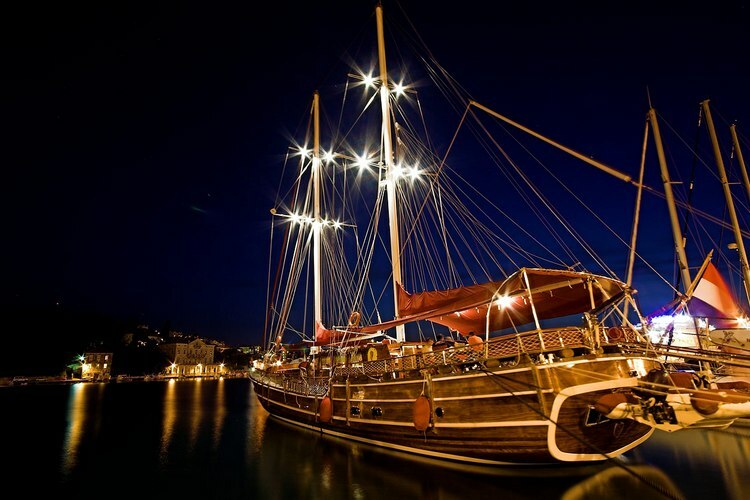 Here you can find basic information about Gulet Nostra Vita. 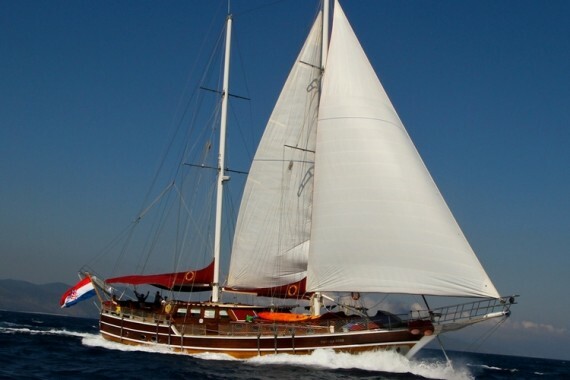 Other specifications, can vary from boat to boat, therefore we recommend to search for particular Gulet Nostra Vita from our database, in the destinations of your preference.